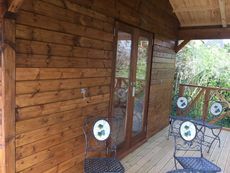 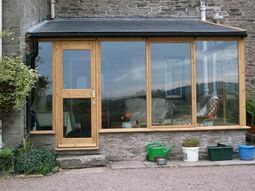 We are able to design and build conservatories to your desired size, extending your existing property. 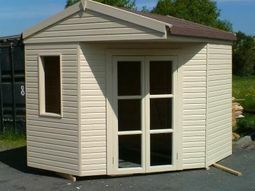 This one is finished with a two tone brown colour stain. 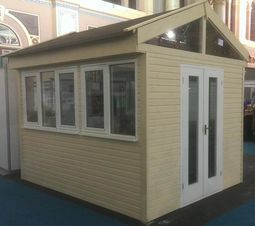 Internally the build is painted with an off white colour (has a tint of pink) and both the floor and roof are insulated. 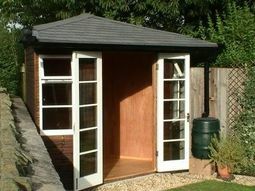 The roof is painted tongue with a bitumastic tile roof. 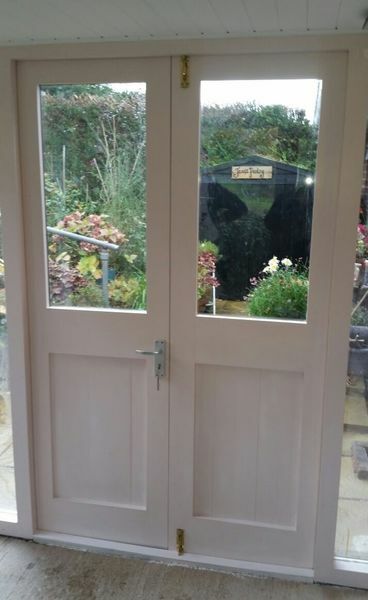 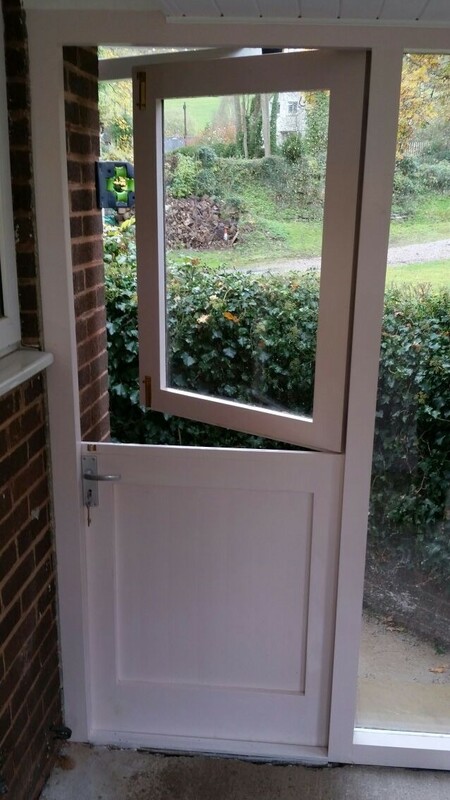 This customer opted to have a pair of double glazed patio doors as well as a split stable door. 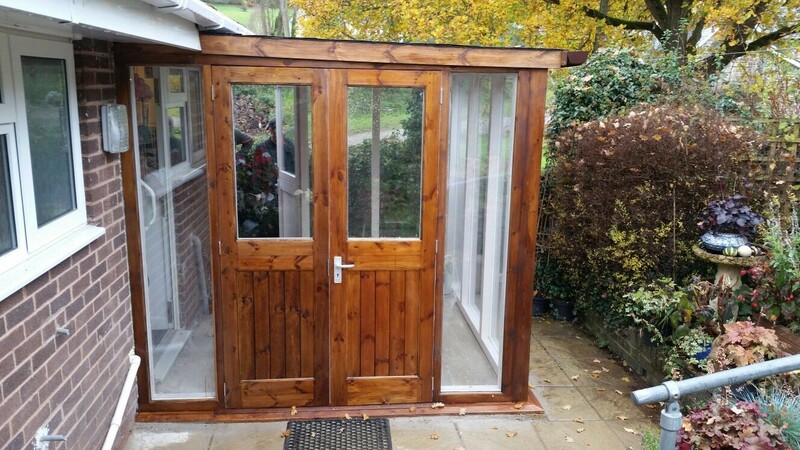 There are many options and we can help you design your perfect conservatory, please feel free to contact us to discuss your options.